I'm just finishing up a residency at Hedgebrook retreat for women writers where I've been working on my new play about Alberta Hunter. Tucked away in a (practically vine-covered) cottage for two weeks I was able to re-examine the complex and somewhat hidden life of the enduring singer/composer in ways that were very different from working on the Baldwin play. Baldwin had such a distinct voice, had written so much and was written about so much once I started reading he took up residence in my head. With Hunter I'm re-reading the one biography about her, mining it for glimpses of the person she was behind the quips and the curtain she drew across her private live. I'm listening to her music, of course, but that too is somewhat of a curtain around who she was and what she felt. I glean small facts...her support of the NAACP and love of risqué songs despite her ladylike pose (which I knew from seeing her perform at the Cookery in NYC). But the residency has helped me dare to imagine some amalgamation of Alberta that isn't in her biography or in her songs. I turned a corner here and am very grateful I had the opportunity to work in this particular way...no obligations but writing for two weeks straight! As it comes to an end I find myself returning home and eager to jump back into some strategies for finding another home for Waiting for Giovanni. I know how hard it is to find a producer for a play, I worked in theatre in NYC for years. But I refuse to believe that W4G will just sit on a shelf and gather dust. 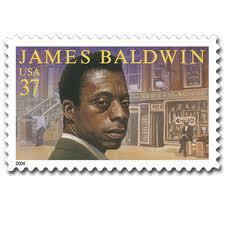 Baldwin is beginning to re-enter people's consciousness across the country so it's to me to find ways to get the play to enter also. Rejections should not hold me back, all the best playwrights have rejections! Having had this chance to move Alberta closer to life gives me the energy to start the search again for a theatre that wants to give W4G a home! Onward and upward!